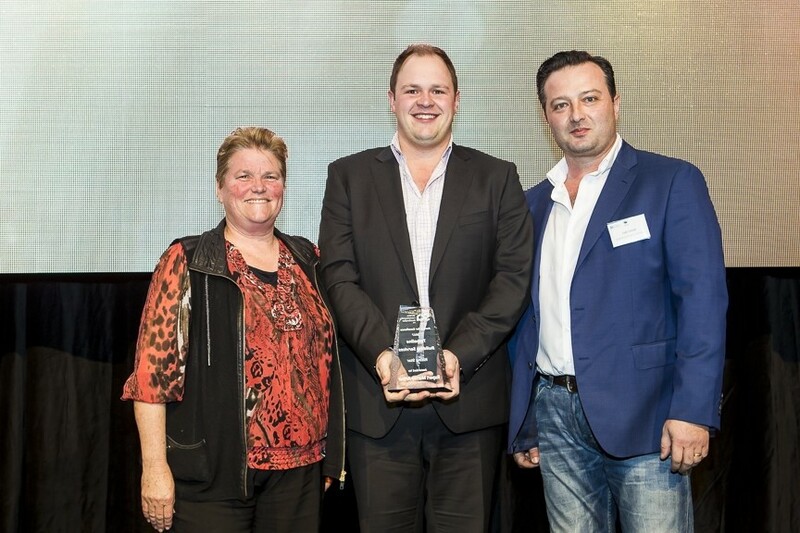 Congratulations to Rupert Murray-Arthur, the General Manager of Quantum United Management, who was recently awarded the “Rising Star Award” from Strata Community Australia (Victoria). The award recognises new entrants into the industry who have demonstrated outstanding early progress in their career. Rupert will now go on to be eligible for the SCA National Rising Star award. Rupert joined the Quantum team in February 2016 as the General Manager. He has over 9 years’ experience working within Owners Corporation committees. His experience includes working with committees, external business advisory, financial management, operational implementation, system development, human resource management and strategic planning. of their home or investment. Photo: Julie McClean SCA(Vic) President, Rupert Murray-Arthur General Manager of Quantum United Management and Fabio Corelli Tymaline Building Services – sponsor of the award. Photo courtesy of Artificial Studios. Strata Community Australia (Victoria) is the pre-eminent professional association for the Victorian owners corporations industry, and was formed in 1990 to provide a forum for improved standards and education in the industry.